One of the longest and most storied rivalries in the NFL is that between divisional and geographic rivals, the Green Bay Packers and the Minnesota Vikings. 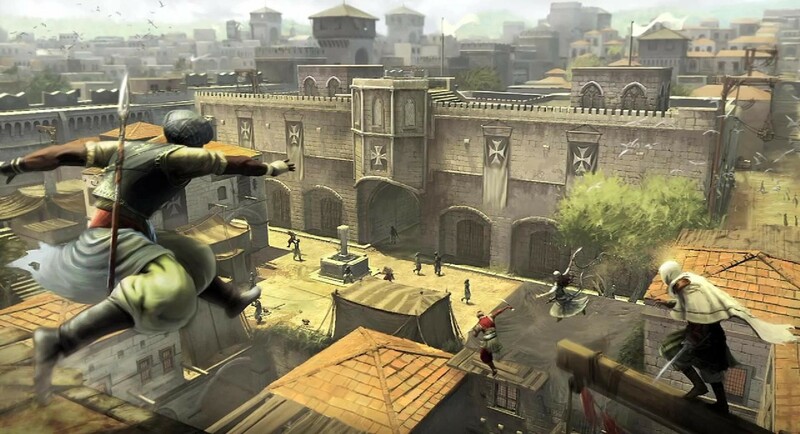 Ubisoft decided to tap into that rivalry in order to celebrate the newest installment in its video game franchise that has sold over 30 million copies worldwide, Assassin’s Creed: Revelations. B.J. Raji, nose tackle for the defending Super Bowl Champion Green Bay Packers, recently faced off against Minnesota Vikings’ running back Adrian Peterson in an online multiplayer session, with a handful of teammates, across PlayStation Network in preparation for the game’s big launch last week. Adding to the drama was a pending match-up between the two teams, as they were scheduled to play on November 14’s Monday Night Football game. Raji enlisted teammates Robert Francois, CJ Wilson and Jarius Wynn to face off against Peterson and fellow Vikings Toby Gerhart, Pat Brown, Joe Webb and Chris Kluwe. 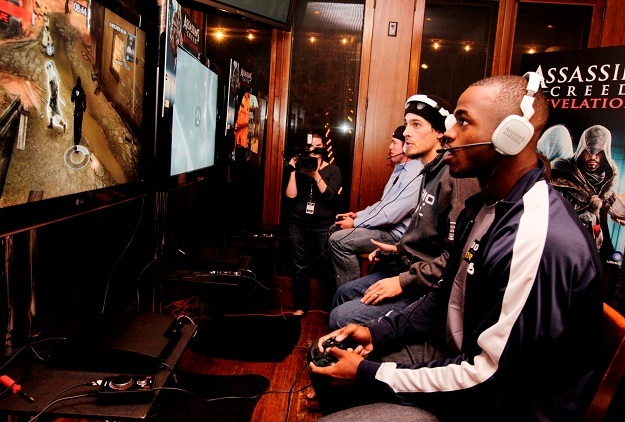 Peterson, along with several other famous faces, is also part of the game’s marketing campaign. While Raji is a fierce competitor on the field and in the video game arena against Peterson, he agrees with the running back on Revelations. Peterson, heralded as one of the most promising and powerful running backs in professional football, is one of only five players to have ever amassed 3,000 rushing yards after his first two seasons in the league. He also holds the third highest average for rushing yards per game in professional football history, joining the ranks of other legends, including Jim Brown and Barry Sanders. He’s not bad at video games, either. The PS3 game (which is also available on Xbox 360 and will hit the PC on December 2) allowed the star tackle a chance to duke it out with the elusive Peterson off the gridiron. And just like on the real field, there was some trash talk going on across the PSN during the competition. “Like most good competitors you have your choice words, but you want to try to keep it in the proper frame and I think I do a good job at that,” said Raji. Both Raji and Peterson grew up playing video games and like to play during their free time. In addition to playing Assassin’s Creed: Revelations, Peterson will be checking out Link’s latest adventure with The Legend of Zelda: Skyward Sword. But for now his focus is on Assassin’s Creed: Revelations. And although he hasn’t been to Italy yet, Peterson said he definitely plans on going, and he’s been doing some sightseeing through the Assassin’s Creed games as part of his preparation. The current game is set primarily in Constantinople during 1511, while the previous two games have been set in Renaissance Italy beginning in 1476. Assassin’s Creed: Revelations is the latest stereoscopic 3D game from Ubisoft, and the first Assassin’s Creed title to take the leap to the third dimension, and it is a move that Peterson fully supports. “That would be amazing to experience. To play the game and have it in 3D would give a real feel for it. The higher the graphics, the more you’re able to enter these games and to be able to get it in 3D and have that experience is going to be outstanding,” he said. When the swords were sheathed and the PS3s were turned off, Peterson and his team walked away with the win. “I appreciate my boys Gerhart, Webb, Kluwe, and Brown having my back against the Pack,” Peterson said after the virtual victory. Gamers are now able to explore Renaissance Italy and the final adventure of Ezio Auditore following the release of Assassin’s Creed: Revelation November 15 (You can read our full review here). And while Peterson and his Viking teammates may have walked away with the victory, Raji and the Pack got their revenge under the Monday night lights, when the Packers defeated the Vikings 45-7.